In: ACEONDO Freshers’ School Fees For 2016/2017!! ACEONDO Freshers’ School Fees For 2016/2017!! 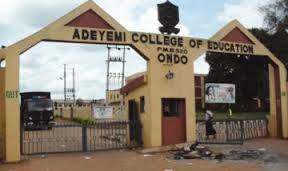 Adeyemi College Of Education, Ondo, ACEONDO freshers school fees schedule and books fee (journals) for 2016/2017 academic session have been released by the management of the school. The management of Adeyemi College Of Education, Ondo has uploaded the schedule of fees to be paid by freshmen of the college for the 2016/17 session. Find the breakdown of the fees (tuition inclusive) below.